Most When It Was Cool readers probably have fond memories of making cassette mixtapes for themselves — for those long car rides to concerts in the 1970s, for example; for friends, to share both the latest and most beloved older songs; and for romantic purposes, hoping that the perfect mixtape might help win over the person of our dreams. CD mixes and, even worse, digital mixes feel far less personal, and as fans of cassette technology make it clear in Cassette: A Documentary Mixtape, there is good reason why so many people still have strong affection for this format. One person who doesn’t share that nostalgia, though, is Lou Ottens, the man credited for inventing the cassette tape — though he humbly states in Cassette: A Documentary Mixtape that he was merely part of a team at Philips who created the technology. For as much enthusiastic nostalgia that co-directors/co-writers Zachary Taylor and Georg Petzold display from die-hard fans of the cassette, Ottens is the counterpoint man to those feelings. He doesn’t understand the passion that people have for technologies that have seen their heyday, and says he believes in always looking to the future rather than being enamored with the past. 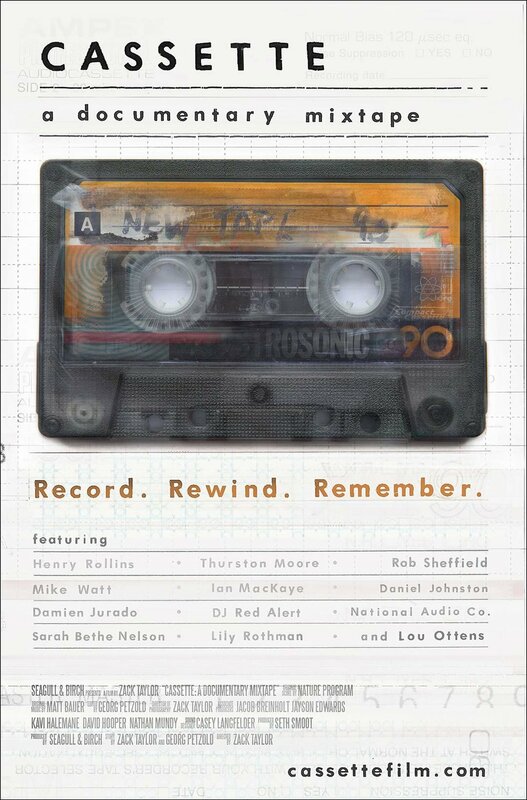 Taylor and Petzold have gathered together many people who speak heartily on the behalf of keeping cassette tape culture alive, including musicians, journalists, librarians, and collectors. The filmmaking duo present their documentary in a format that is not unlike a cassette mixtape: it flows, not always seamlessly, from one subject to another and back, similar to how one mixtape approach is presenting multiple songs from several artists on a tape but breaking songs from a single act up rather than putting them back-to-back. This approach works rather well, though sometimes it feels a bit disjointed. This is a minor quibble, however, because overall I enjoyed this style of presentation. The sentimental philosophies behind preserving cassette tapes is a major focus of Cassette: A Documentary Mixtape. Punk rock icon turned multimedia personality Henry Rollins has one of the more poignant segments in the film in which he shows a box of cassette tapes that belonged to a friend of his who was murdered. This film reminded me of something that I had almost forgotten: that many people used cassettes as a method of spoken communication — for example, an alternative to writing letters, or for preserving a grandparent’s voice for future generations. The filmmakers use plenty of audio examples of this, which sometimes comes off as a bit eerie, as viewers realize that we are listening to the private recorded words of anonymous people, some of who likely passed away long ago. 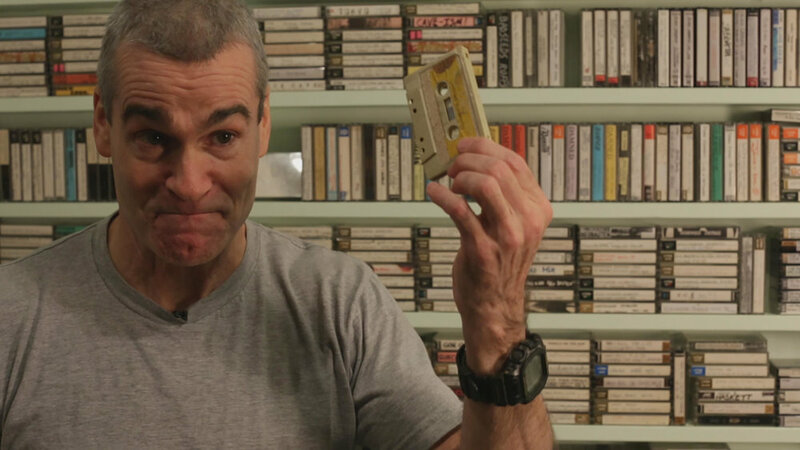 Henry Rollins knows why the cassette tape is awesome. In turn, this reminded me of my first experience as a child using cassettes for more than just playing around with to listen to my own voice. I used to record full episodes of professional wrestling shows in the early 1970s and listen to them over and over again, long before the days of home video taping. In bringing to mind memories such as these, Cassette: A Documentary Mixtape goes beyond being a mere nostalgia piece and becomes an important historical record. Speaking of history, the film offers plenty of that. To be certain, the development of the cassette tape by Ottens and his team at Philips is explored here, with many of the now elderly developers on hand describing how this format went from idea to household item. Another engaging historical topic is how early rap and hip hop music was shared by DJs and fans from party recordings initially starting in New York City, and then spreading throughout the States. The historical aspect of the humble cassette tape isn’t as fully realized as it could be in Cassette: A Documentary Mixtape, however; for example, the correlation between home taping of vinyl albums and singles and any decline of record sales is all but overlooked. Also, the filmmakers present some commentary on how cassettes made home reel-to-reel tapes a thing of the past, but look past the format that was a link between these two: the humble 8-track tape. Taylor and Petzold also consider the future of the cassette format. They include interviews with many up-and-coming independent musicians who find that their self-made recordings sell far better on cassette than on CD or even digital formats. They also speak with the staff of a small U.S.-based company that finds steady business in manufacturing prerecorded cassettes to this day. 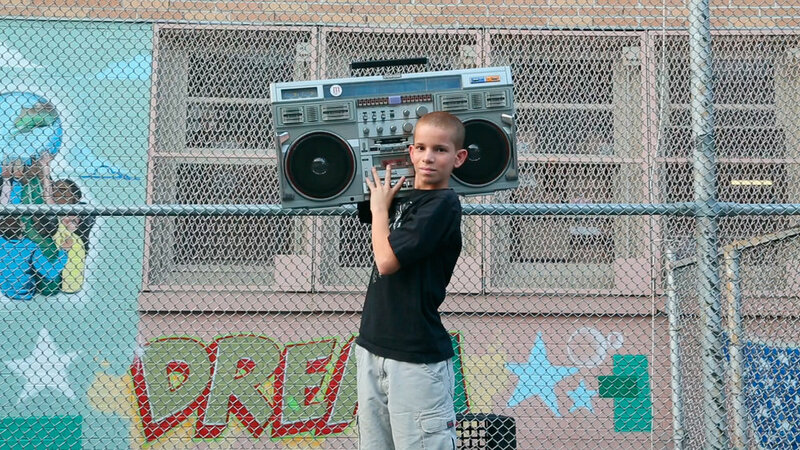 Cassette: A Documentary Mixtape is a fun look at an aged technology that has found new life among younger people — some of whom were not yet born when the format had its heyday — and has remained close to the hearts of those who grew up with it. Taylor and Petzold present their subject in a winsome, engaging manner bound to raise lumps in more than a few throats. Cassette: A Documentary Mixtape screened at FilmQuest (September 8–16 in Provo, Utah), where it won the FilmQuest Cthulhu Trophy for Best Documentary. He also writes for the retro pop culture website That’s Not Current (thatsnotcurrent.com), the Gruesome Magazine horror movie website (gruesomemagazine.com), and several other print and online film critique and pop culture magazines.